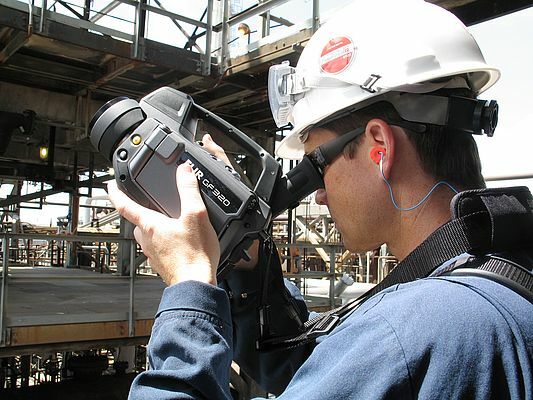 FLIR Advanced Thermal Solutions has announced a new application story that describes how the Bayernoil Refinery in Southern Germany has integrated the GasFindIR gas detection camera into its leak detection and repair program. Looking for fugitive emissions - refinery plants are subjected to a general turnover, a huge inspection and maintenance operation during which units are taken out of operation, partially dismantled, cleaned, maintained and tested. With safety and environmental considerations paramount - Bayernoil have adopted the FLIR GasFindIR as a key preventive maintenance tool to ensure process safety. FLIR regularly publishes application stories where you can read how its customers are using FLIR infrared cameras and thermal imaging solutions. To access the Bayernoil Refinery and other application stories, please visit the FLIR Customer Support Center or contact FLIR Advance Thermal Solutions Group on telephone +31 (0) 76 5794 176 / email gasimaging@flir.com.